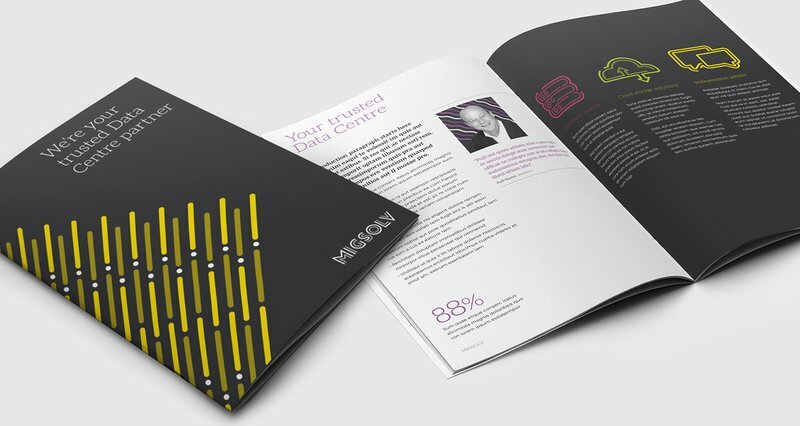 MIGSOLV, formerly Migrations Solutions, is a data consultancy and data centre provider. They came to us wanting help with their branding, advertising, website and event signage. 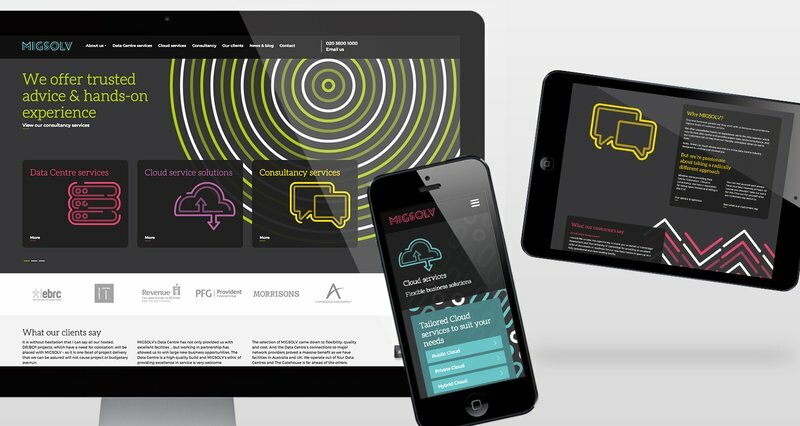 Migration Solutions approached us for some advertising work, but soon it became clear that they could benefit greatly from a rebrand. Following a detailed competitor review revealing a sector that was rife with data stack imagery and stock shots of people working in data centres, we developed a visually impactful pattern and icon approach which really made the brand stand out from the competitors. We also worked on a new name for the company. Migration Solutions' old website looked tired and out-of-date. Its visual elements were recessive and stereotypical and did nothing to represent the verve, enthusiasm and ambition of the company. Following a rebrand where the visual language and look and feel were completely updated, Chaos created a visually stunning site using parallax scrolling to emphasise the vibrant patterns and visually impactful iconography.